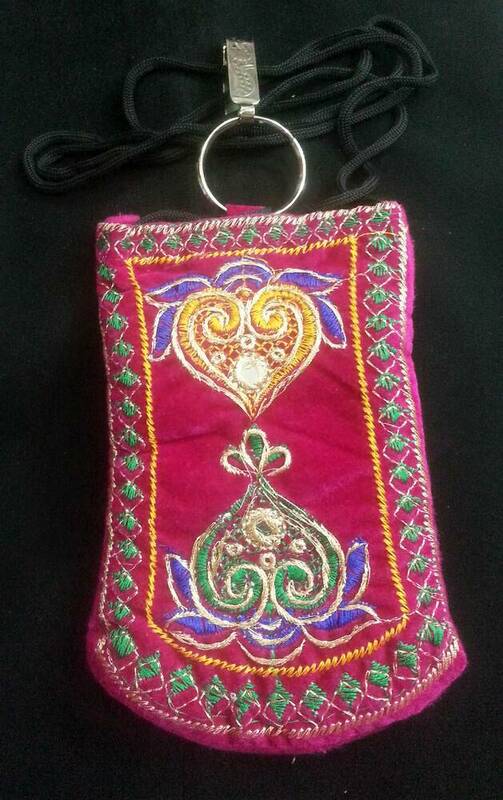 Beautiful velvet cloth pouch suitable for carrying mobile phone in. With attractive embroidery. Various colors and patterns. May be different from product image.